Here, culture sings. And our creative community is always evolving. Stroll and shop through El Mercado, an authentic Mexican marketplace in the heart of downtown. 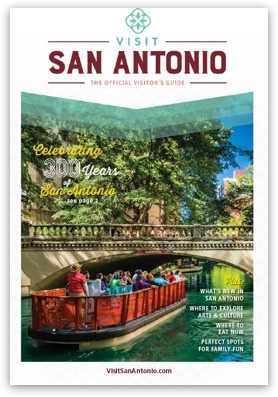 Check out The Witte Museum on the Broadway Cultural Corridor for a visit with the dinosaurs, browse modern European and American art at the McNay Art Museum, or explore a broad range of history and world culture exhibited at the San Antonio Museum of Art. From marketplaces to museums, come explore with us. SAY Si, San Antonio Youth YES!